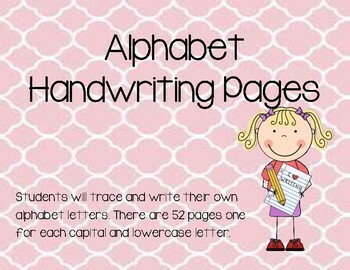 These Handwriting Pages are perfect for repeated practice of each alphabet letter. 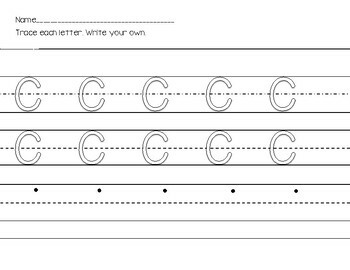 Each page features one letter in either uppercase or lowercase. 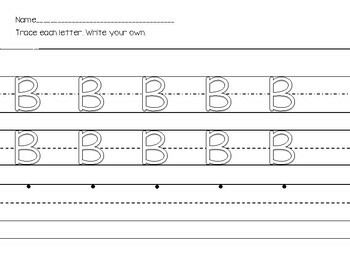 There are two lines of letters for students to trace by staying in the lines and one blank writing line for students to practice writing the letter independently. There are 52 of these scaffold-ed writing pages so students can practice all of the upper and lowercase letters of the alphabet. These can be printed on paper or printed and laminated for center activities. If you like this product check out the Ultimate Alphabet Handwriting Bundle, which includes this product plus 6 others to develop a solid foundation in alphabet and letter formation.